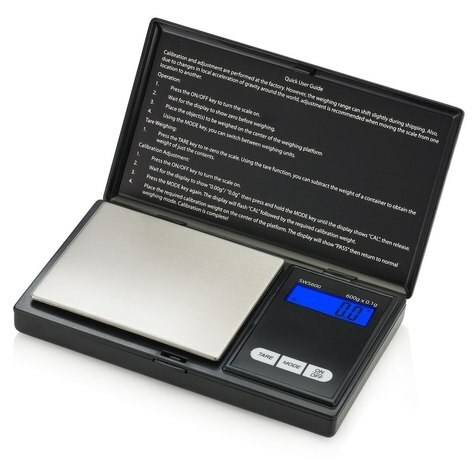 I Purchased this scale. Do you recommend it? What weights would no be ideal? This is my opinion only. But, for the most part we want to weight stuff to two decimal places....e.g. .05 g, .15 g, etc. This is more typical usage IMO than weighing ounces or qtr pounds where two decimal places is more than sufficient. To do so accurately, you need a scale that has precision to three decimal places. 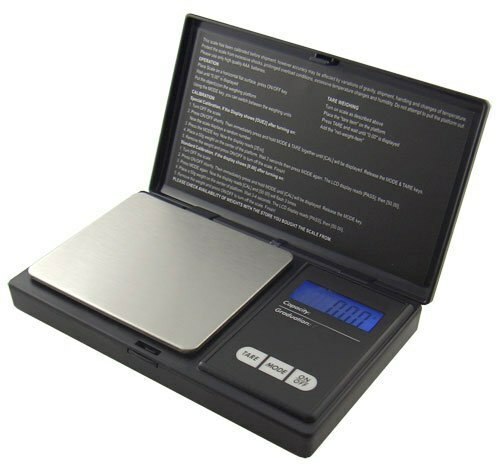 After buying less expensive scales and being disappointed with them, I bought this and its a fabulous scale. I'm very happy with this scale. I use the same as the OP and @vapecritic . It has always worked great for me. I use it more for measurements with the edibles I make for myself. I kind of eyeball my herb when vaping and I am always happy with my results. It's not a bad little scale though. I took Baron's advice a while back and got the same model. Works great on 1/8s from the DC pop-ups to make sure everything is on the up-and-up. Although nearer to its capacity, I can also weigh ounces of ABV for use in the Magic Butter machine for eventual molasses cookies. Highly recommended! @Vapedude "old school scale" nice ! We all know a high school kid who sneaked one out in his school bag lol . I use a 0.000 , I suppose a 0.00 is fine for those who don't worry about microdosing much . I do agree with @Baron23 that for precision in .00 's , a triple digit scale would be best suited . the added decimal of 0.000 is basically your margin of error . The last digit might be a lil off but your .00 should be quite accurate. Scales are cheap these days . 0.0 or even 0.00 are just a few bucks , 0.000 in $25-40 range .. I recall $150 prices on scales a few decades ago . Air 2 - good hitter for a beginner?